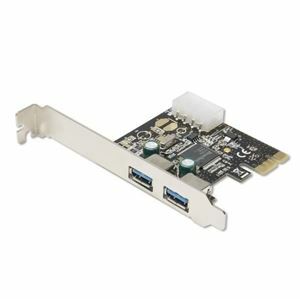 Quick overview Add two High-Speed USB 3.0 ports to any Personal Computer through easy installation in an available PCIe slot. Up to 10x faster speeds than USB 2.0 make this the ideal choice for connecting today's most popular external devices. Fully compatible with USB 2.0 and USB 1.1 devices.